2-in-1 design for calling versatility. If you're the type of hunter who doesn't carry a lot of gear, this Cherokee Sports Two Faced Witch Turkey Call will give you the versatility you need for calling in trophy toms. 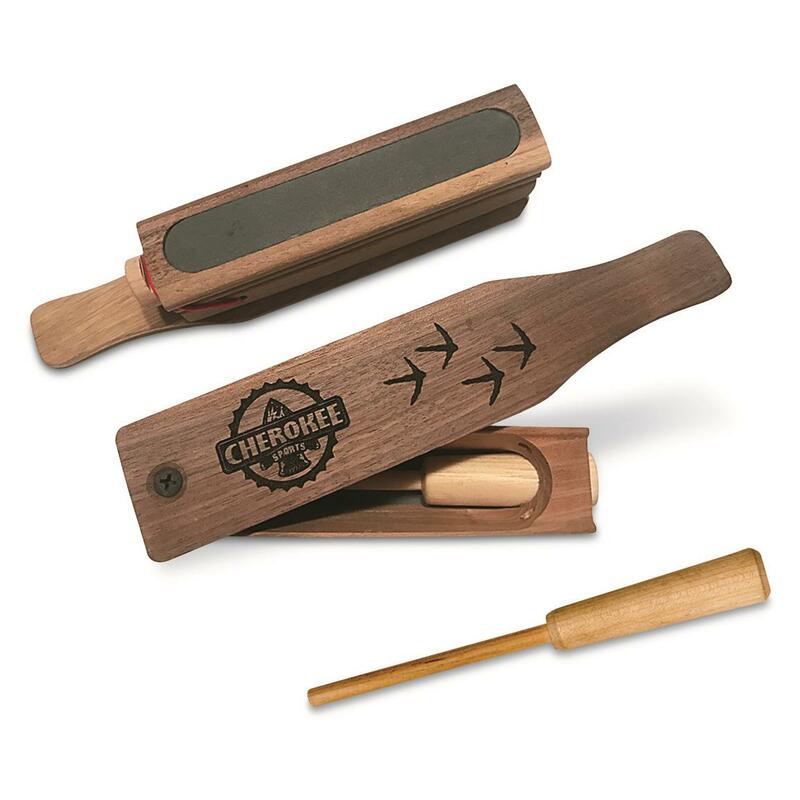 It's made from durable hardwood and features a 2-in-1 design, with both box and slate calls. Included striker fits conveniently inside the call for easy transport. Cherokee Sports Two Faced Witch Turkey Call is rated 4.5 out of 5 by 2. Rated 5 out of 5 by Ken cornbread from Very economical I love it take a song home and a mouth call ur set. Rated 4 out of 5 by Susurrus from Good sounding economy call The box call sounds pretty good and loud. The addition of the slate call is clever, but the surface area of the slate is very narrow and it's not that great. But this if you want a box call, but if you want slate get something else.The wood is functional, but feels cheaper than other box calls I've used. - - that doesn't affect the sound though.